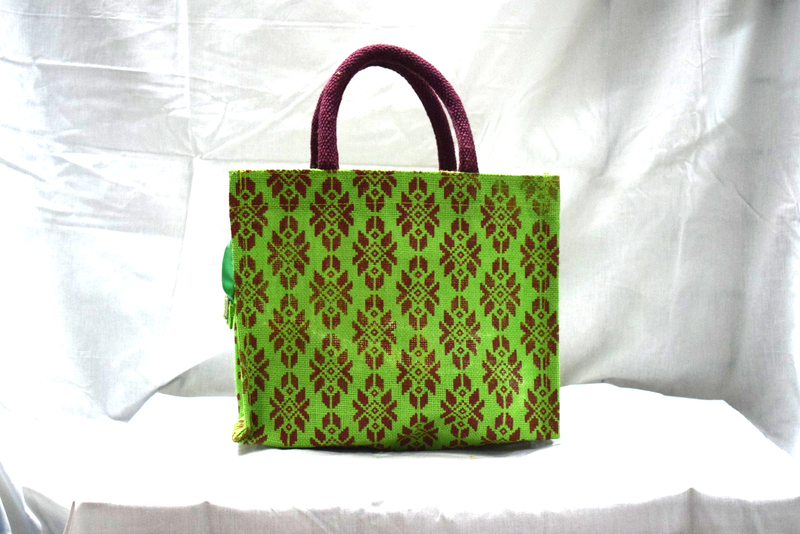 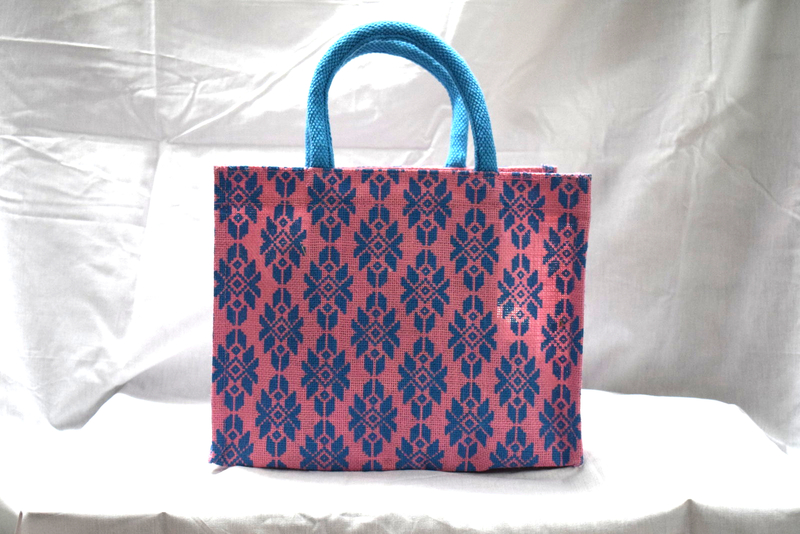 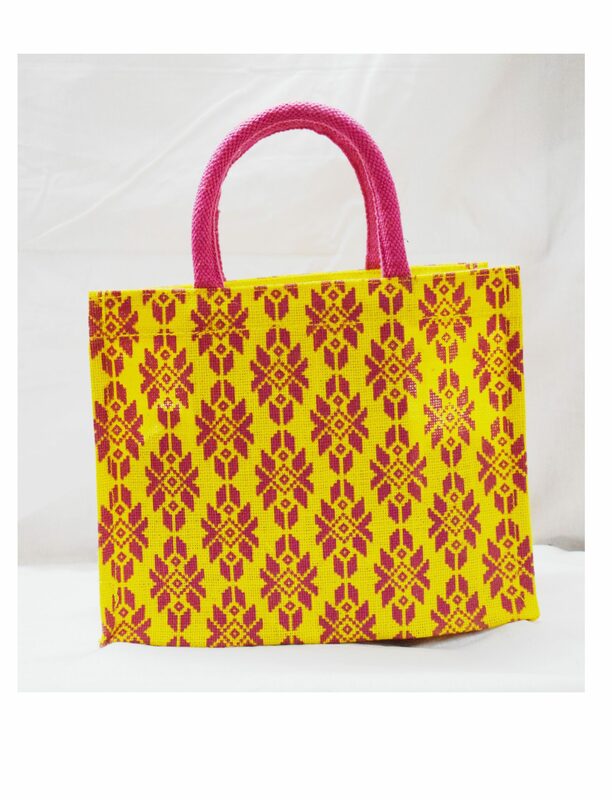 This is a Lunch Bag made from Jute and a decorated with the Pochampalli Print, best for carrying lunch boxes and water bottle. 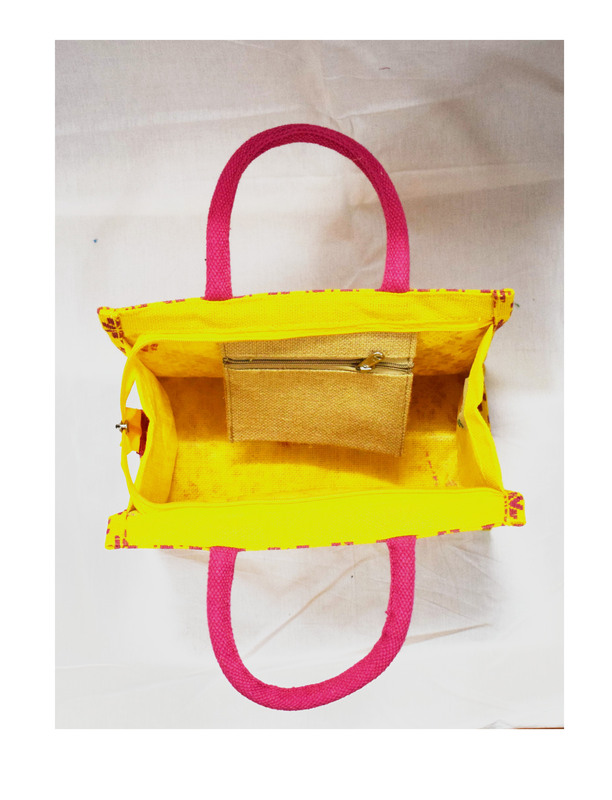 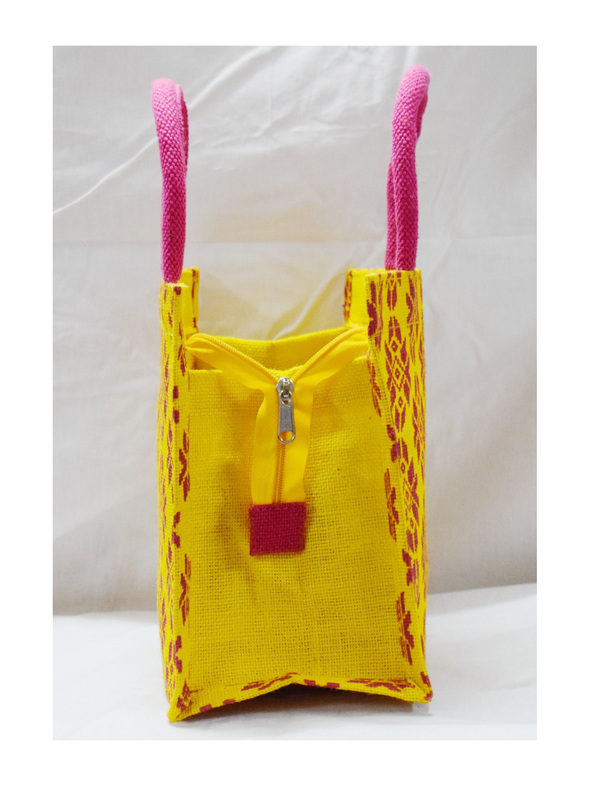 Bag has a long smooth texture cotton tape handles and zip for closure on top and it has zip pocket inside for putting mobile phone, money etc., in it. 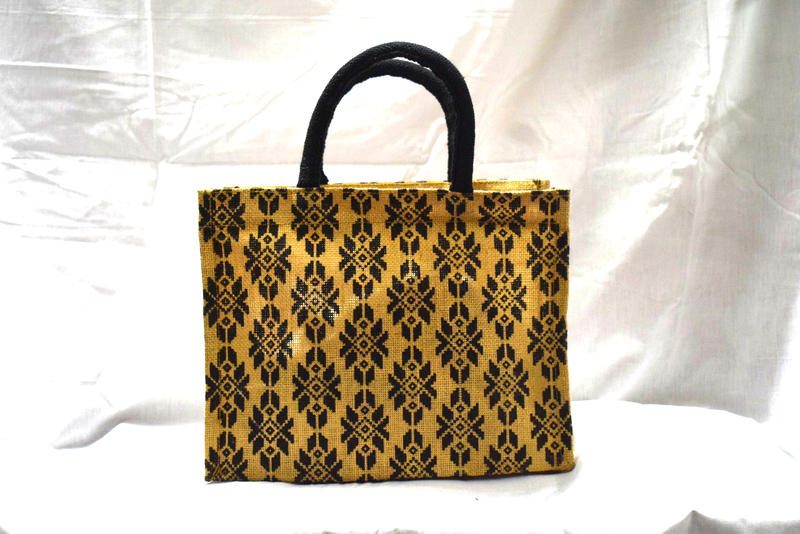 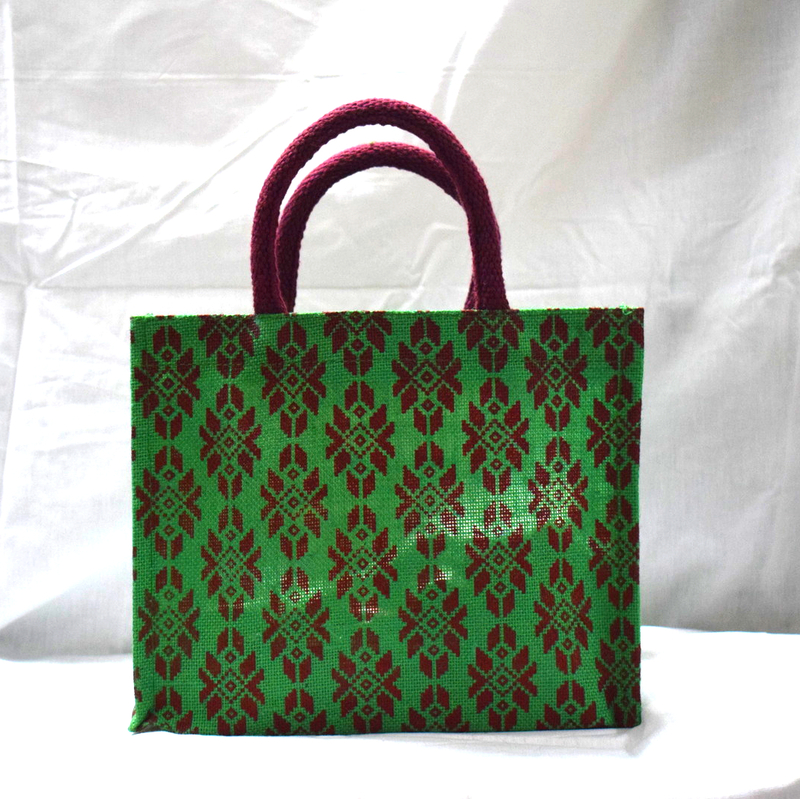 It can be used as lunch bag or carry bag to put small things in it while going out.